Police Scotland warn that professional bike thieves are active all over Leith. Click the graphic to see what to do. 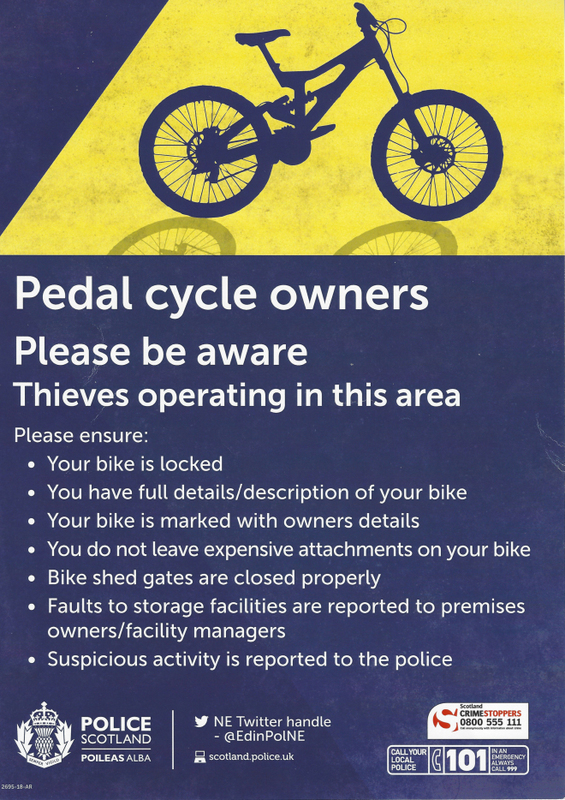 As a precaution against theft, Police Scotland recommend services such as veloeye.com: recording a photo and the frame number of your bike, and putting a marker on the bike itself.